Amussy - New castle, PA Great Product "I bought this for my 2004 ltz400 and it was exactly the quality and expectations I buy wiseco engine parts for. 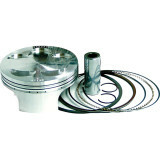 Restored the power to the engine as expected and the instructions are very good if you’re new to doing top ends. The packaging and shipment service is great. 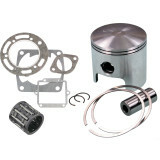 Highly recommend this product to anyone who needs a piston and rings."